Arsene Wenger did not rest the key players for the midweek game against Basle in the CL. The performance was very good and the result meant that we toped our group (which didn't help in the end). However the team which was already showing signs of tiredness even before that game got even more jaded. Almost the same players that played against West Ham on the Saturday traveled to Basle for the Tuesday game and then on to the home Saturday game against Stoke. Three days later those same players were lining up against Everton at Goodison Park. The performances prior to the Everton game were beginning to show some tiredness and some slack play. Yet the results were of course as expected. The opponents were not after all that good as to worry us tremendously. Everton away was a different game of course. Although we didn't play that well in the first 20 minutes we got a deflected goal. But we did not kick on from there and in my opinion tiredness coupled with overconfidence resulted in a below par performance. Could Mustafi have prevented those two goals? Nobody knows. Wenger said it wasn't Gabriel's fault. Whose was it then? It was the whole team's because no one closed down the cross for the first goal and no one played that well to prevent Everton's overall drive in the second half. Wenger had a bad game too. His substitutions were ineffective and inappropriate. He made two subs on 71, Iwobi and Giroud for Walcott and the Ox. He was going for the game but it was obvious the subs were not affecting the game enough and Everton were overrunning us in midfield. His next substitution should have been a defensive one in order to safeguard a point. He should have taken dozy Ozil off and put Elneny on to make sure that 'if you can't win a game then at least do not loose it'. Now he has to get his finger out as well as the players. He has to re energise them, give them belief and a game plan to beat City. 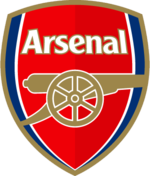 A victory which will send a statement across the land that Arsenal are up for it and gunning for the title. Otherwise let someone else take it on. Pointless article ...what are the three things then?